How does it feel, when an ancient scripture leaves its mark on your skin? Interesting, isn’t it? Yes, tattoos also draw inspiration from the scripts and it is very fashionable and cool to get tattoos in various scripts. Hebrew is one such ancient language, which is considered by Jews to be their native language. Sometimes, Hebrew tattoos might have a special way of going wrong…Oh yeah, so one has to be care full with this ancient writing before getting it inscribed on their skin. 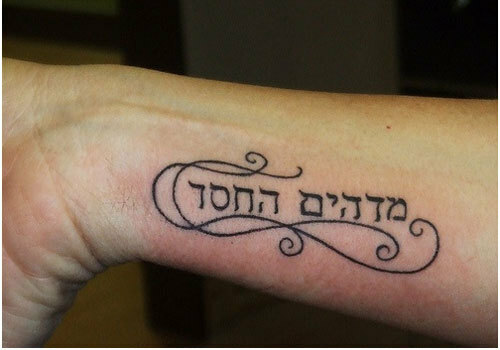 f you are interested in knowing more about the Hebrew tattoos, then check out these top ten Hebrew tattoos, which are fine examples of the influence of Hebrew writing in contemporary tattoos. 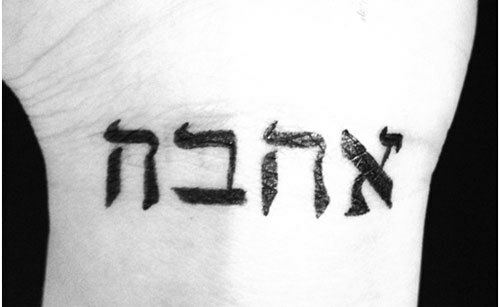 This Hebrew tattoo is the perfect start to our list as it simply says “Child of God” in Hebrew. 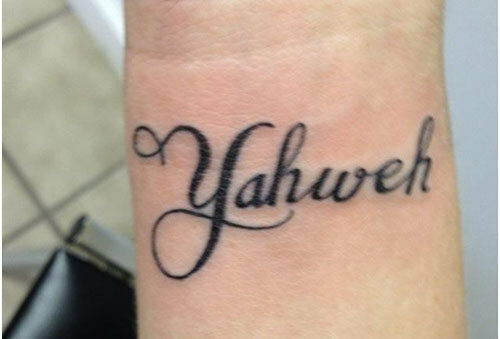 This tattoo is an apt way to flaunt your deep faith in God and the special bond you share with your creator. Have this tattoo replicated on your skin just as it is depicted here. 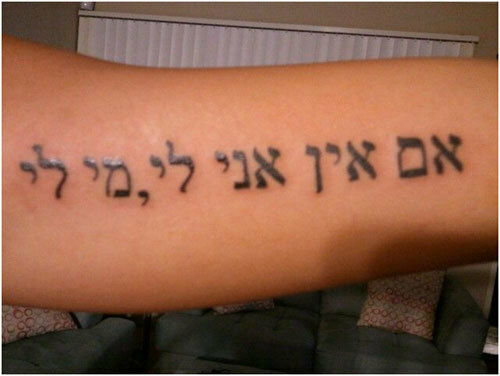 This Hebrew tattoo simply spells out the one word that makes the world go around which is love. 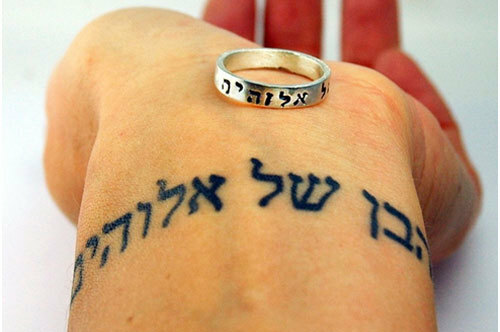 This simple yet attractive Hebrew tattoo is a subtle way to flaunt your romantic inclinations. Keep it small, keep it simple and stick to a shade of darkest black for maximum impact. 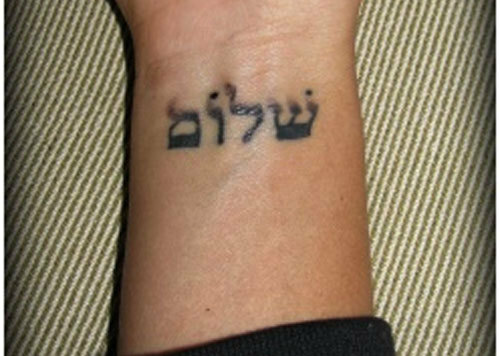 Shalom is a popular form of greeting in the Hebrew language and this subtle yet attractive tattoo puts the word to good use. Shalom is also used to signify peace between two entities. Have this inscribed on your skin and let this tattoo inspire you with its beauty and profound message. This tattoo has been created with a definite aim to inspire. 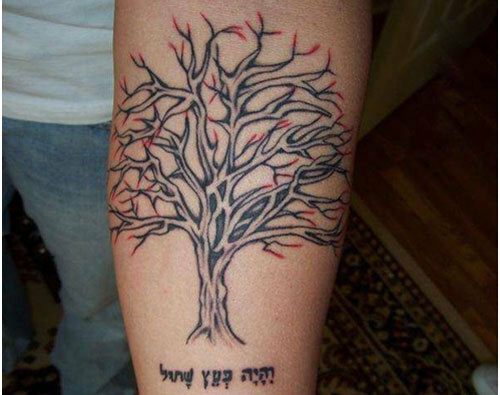 The Hebrew message below the aesthetic tree tattoo is a verse from the Holy Bible with a profound message. These verses from the Book of Psalms simply say “he shall be like a tree planted by the rivers of water that bears good fruit in its season, whose leaves shall not wither and all he does shall prosper. This profound Hebrew message in the form of tattoo art is essential inspiration for the usual big or small hurdles we face in life. Let this tattoo be a source of encouragement and a constant reminder that even the toughest challenges in life can be overcome. This simple message depicted through tattoo art is more of a statement than a question. 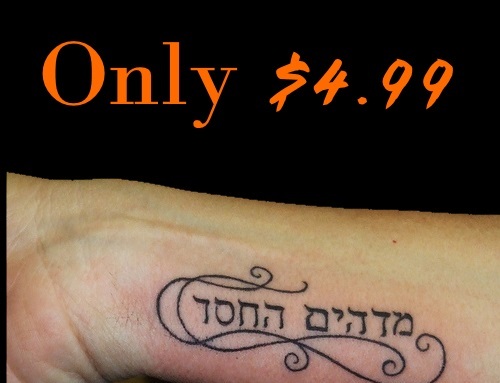 This attractive and profound Hebrew message tattoo simply says “If I am not myself, who will I be for me?” If you take pride in your originality and uniqueness this is the tattoo for you. In the Hebrew religion Yahweh is the creator of the universe who is more commonly known as Jehovah. This tattoo is an apt way to flaunt religious and spiritual beliefs for some people. 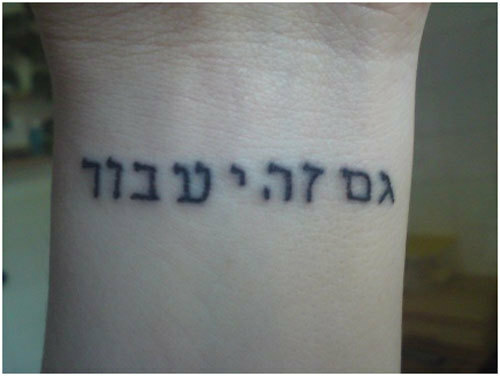 This Hebrew tattoo simply says “Be still”. Have this tattoo replicated on your skin as depicted here and have a constant reminder to be calm and courageous during trying times. Let this Hebrew tattoo that simply says “Amazing grace” be an inspiration for your life which keeps you grounded and thankful for all you have. Replicate these profound words on your skin by the help of an experienced tattoo artist only. 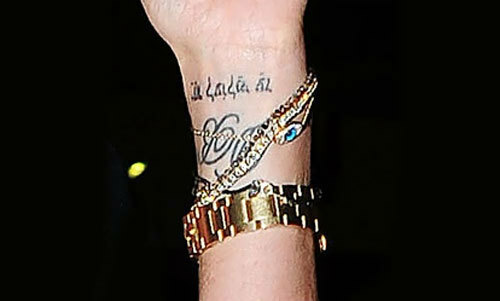 This tattoo made famous by Victoria Beckham simply says “Together, Eternally and Forever” in Hebrew. Have this tattoo inscribed on your wrist to declare your love for your spouse or soul mate. 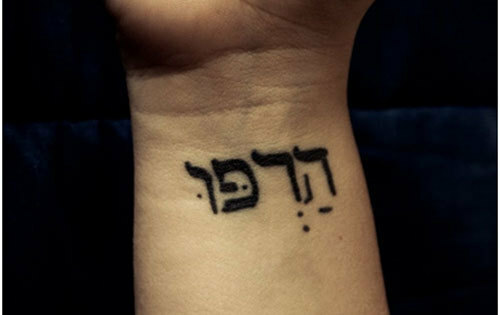 So choose any of these top ten Hebrew tattoos designs that are sure to make you feel proud, as it belongs to ancient scripture. Please don’t forget to drop in your comments below. Stay stylish, stay gorgeous! !